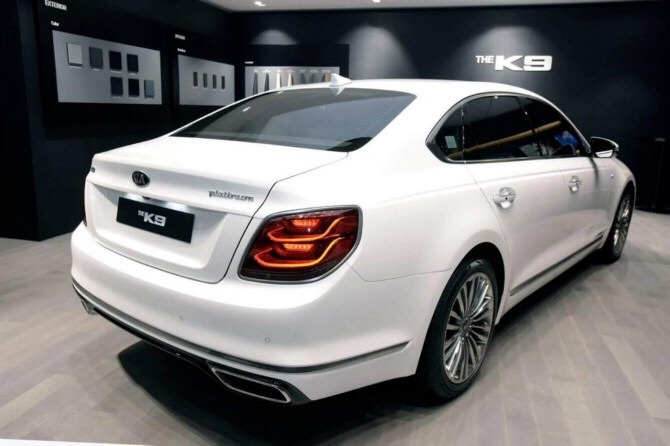 Kia Motors has revealed the design of the all-new K900 today in a series of exterior and interior images. 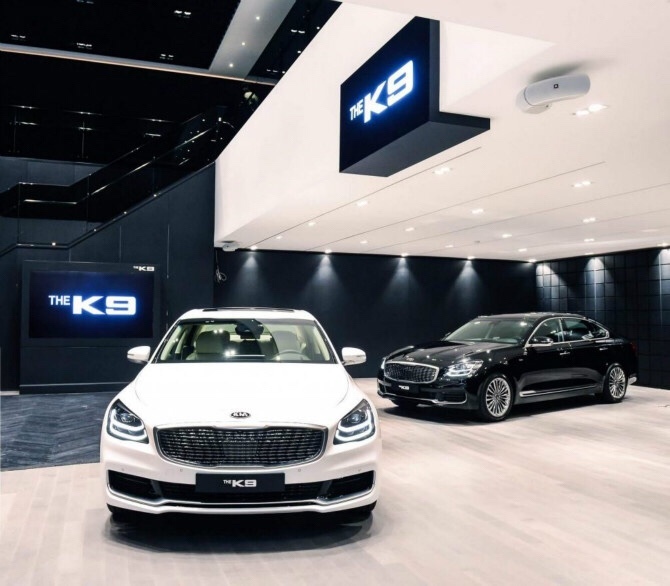 The all-new K900 has been created in close collaboration between Kia’s global design headquarters in Namyang, Korea and the brand’s U.S. design studio in Irvine, California. The new model will make its world debut at the New York International Auto Show later on March 28. 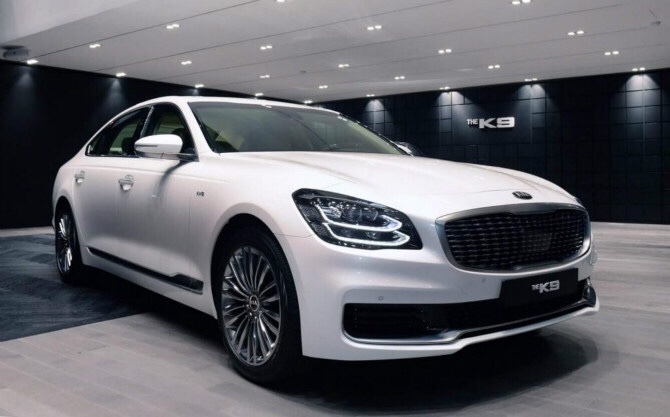 Combining a beautifully balanced design with elegant, flowing lines and geometric details, the K900 introduces a modern air of elegance and gravitas to the large sedan segment. Kia’s designers were inspired by the ‘Gravity of Prestige’ design concept, which exudes strength through rich detail and solid surfaces. Based conceptually on the the changing shape of condensed energy, a new ‘Quadric pattern’ signature grille – seen for the first time today – is the focal point of the K900. 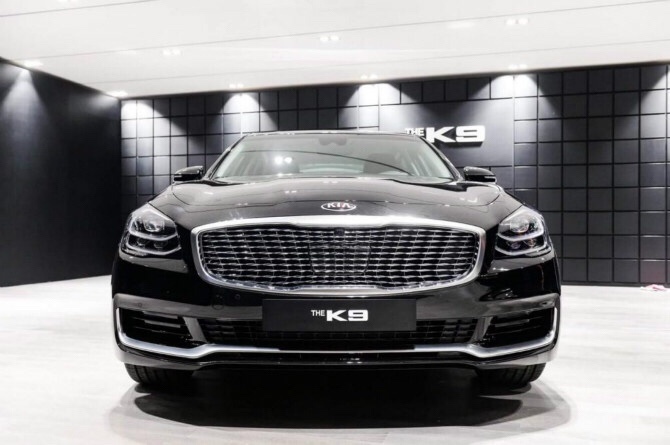 Embodying the K900’s design concept, the grille contains 176 jewel-like ‘cells’, suggestive of released energy accelerating away from its center. Geometric design details add an element of modernity and technology. Evoking the trajectory of light, the design of the ‘Duplex’ LED headlamps provides the K900 with a visually progressive, high-prestige image. In profile, a chrome flash adds visual depth to the smooth bodywork, running along the base of the doors and around the lower rear section of the K900. The chrome window-line adds a degree of technicality and structure to the free-flowing C-pillar before it merges with the rear deck. The tail lights and exhaust housings are also finished with fine chrome details. The K900’s 12.3-inch HMI screen is integrated in such a way as to enhance a sense of calm and serenity on-board, with a bezel-less display and simplified switchgear layout. At the base of the center console, the driver can also use a manual dial to rotate through on-screen functions. Inspired by the simplicity of fine watch design, the K900 dashboard also houses an elegant analog clock, developed specifically for the new model through an exclusive collaboration with Swiss luxury watch brand, Maurice Lacroix. The HMI features a new intelligent lighting control with proximity sensors, only illuminating the dashboard when it detects the driver’s hand reaching for a switch. Drivers can also adapt the cabin of the new K900 to personal preferences with a new mood lighting system. 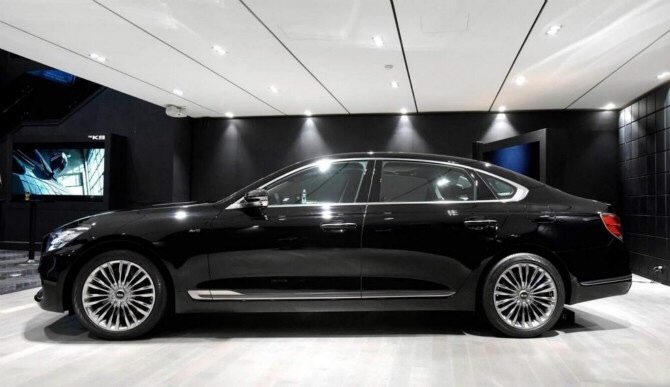 The new K900 is the first car in the world to incorporate an ambient lighting system developed in partnership with the Pantone Color Institute, the global authority on color. Customizable on the move, the subtle ambient lighting floods the interior in one of seven colors, jointly developed by Kia and the Pantone Color Institute. Drivers can also choose from 64 unique settings to adapt light levels throughout the car. 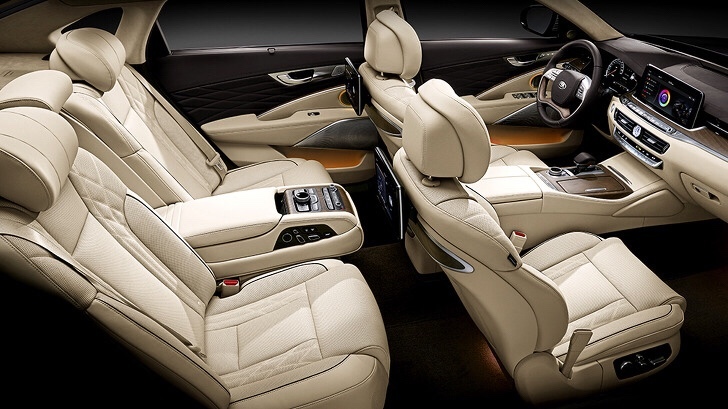 Harmonizing with the cabin’s design, the glow of the lights creates a truly contemporary ambience while providing stability and rest for K900 occupants.